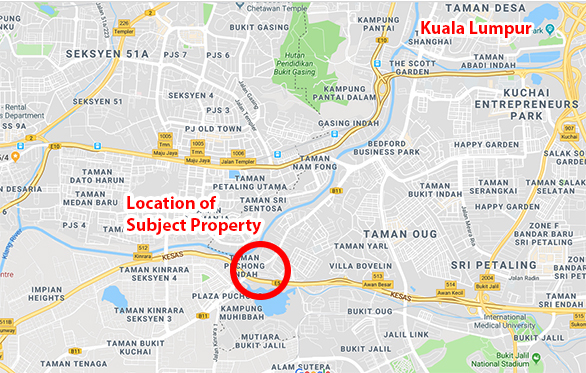 Location map of the subject property which is under KL. 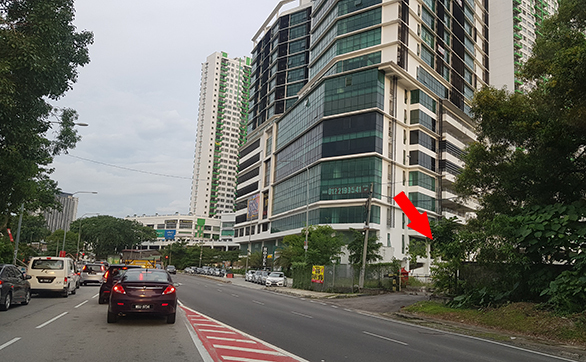 The subject property viewed from Kinrara Puchong side. The surrounding is a very mature township and this road is very busy most of the time. 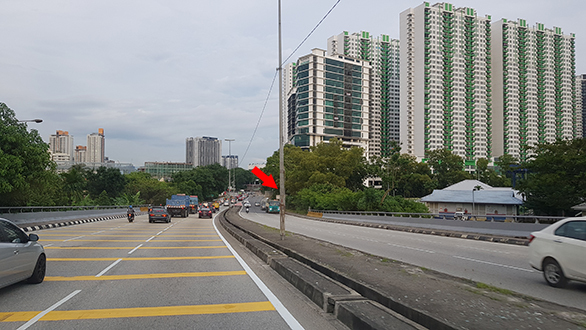 One can turn into the property from this side of the road if there is no traffic but there is actually a proper place to U-Turn just less than 100 metres away.